When you hold all the right cards…K-zone from Croatia managed to reach its goal in 3 weeks and raised over EUR 23,000 on the Indiegogo platform for "Fierce Women" - a board game of 56 cards with illustrated portraits and biographies of women who changed society and the world. 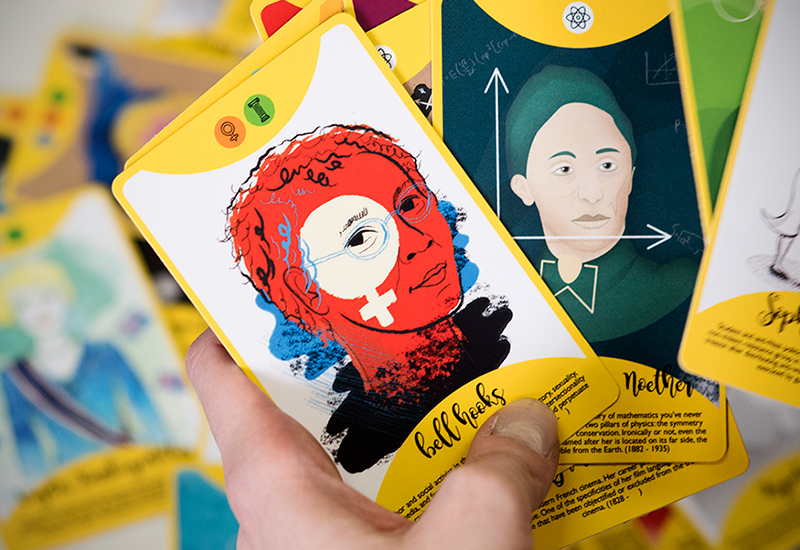 Women artists, scientists, politicians and activists - all generations will now learn about them and get inspiration from this fun and simple board game. The goal of the K-zone was to raise EUR 20,000 in 3 weeks, but they managed to surpass that with their well planned campaign, reaching up to EUR 23,000, or 114% of the target amount. Their campaign was supported by as many as 667 donors from around the world, and for the start they will make 1,000 decks. This is the beginning of a new social enterprise of women entrepreneurs in culture. K-Zone has been working through non-profit media and festivals for the development of gender equality for years. This is their first crowdfunding campaign, but probably not the last one - after this success, they are planning new games and products.